Re nting roll-off containers in Harrison, MI, should be simple and easy. Picking out a dumpster, having it transported and set on your property, should be something you do not have to think about. However, that requires you to do a little homework and be prepared so that you can select the right dumpster for your specific trash removal needs. Here are some tips for you to follow. Matching your needs with the right dumpster is more than just rolling up and selecting a container. If you look at your trash, you will see there are several different types involved. And depending on what you need to have removed, you'll need a specific dumpster to meet your needs. There are also restrictions; you cannot mix brick refuse with drywall, for instance. Making sure you understand your trash type and needs is vital to helping you select the right dumpster. For example, do you have standard waste and need a regular dumpster for general house trash or brush removal, or do you need salvage containers in Harrison, MI? Do you need a recycling dumpster to separate wood, metal, or cardboard? Will you be removing used concrete and thus need a special dumpster lining? Or would a specialized dumpster work best for you? The first rule to remember is that it is always easier and better to order too big than to order too small. That said, you want to match your dumpster size as close as possible with your waste removal needs. A 30-yard dumpster, for example, is equivalent to nine pickup truck loads. A 40-yard dumpster equals 12 pickup loads of trash. Having a general idea of “how much trash” you will generate will help you narrow down the size of container that will fit your needs. 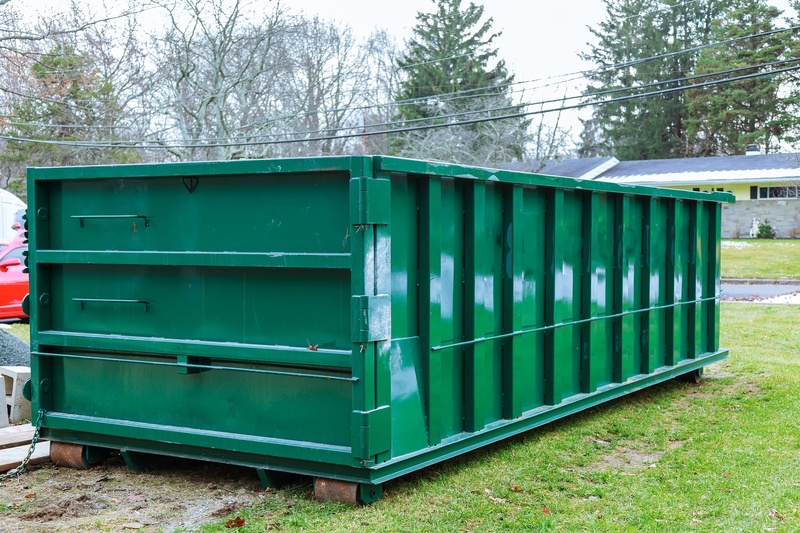 Even if your dumpster is only going to be on your property for a day, you want to make sure it is easily accessible, away from any buildings or vehicles, and on as level a surface as possible. You also want to be sure that a truck delivering your dumpster will not crush things like sidewalks or underground piping if you can help it. If you plan on using a door to take waste through, make sure you have enough clearance; an errant opening of a door in a confined space, for instance, can do a lot of damage to the side of a garage or door frame. If you need food scrap containers in Harrison, MI, you will want to make sure your containers are not too close to where patrons might congregate. Choosing your roll-off containers in Harrison, MI, is not difficult but it does require a bit of thought. Making sure you have a receptacle that meets your needs is key to making sure you can remove the waste you have without any issues.